Baritone Mack Harrell was a student of Anna E. Schoen-René at the Juilliard School in Manhattan in the early 1930's, and later taught at his Alma Mater and at Southern Methodist University. He straddled the opera and concert worlds, appearing with the Metropolitan Opera for many seasons while simultaneously maintaining an active concert and recital career. 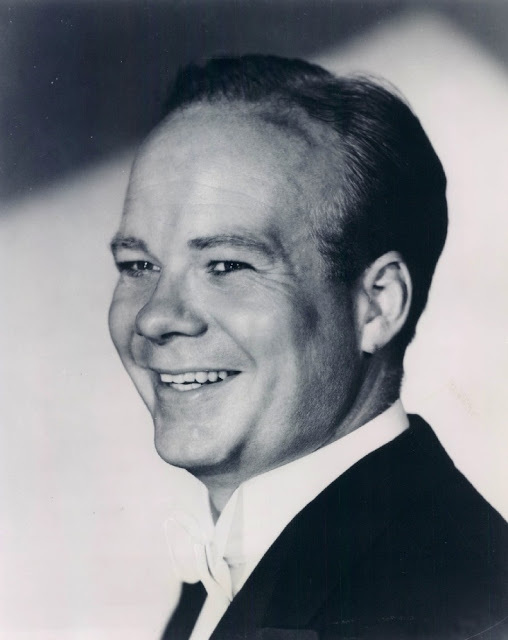 Harrell also sang in New York City Opera's second season at City Center in 1944, in the role of Germont in Verdi's La Traviata, the New York Times noting that Harrell sang with "refinement and true sentiment" while displaying an "extraordinary voice and mature musical talent." You'll hear the extraordinary beauty of his voice in the Youtube video below, Harrell singing in a manner which is instructive for students of the voice today, his voice illustrating a highly cultivated legato and portamento, which is—in all too many quarters—actively discouraged as being too mannered and emotional. Harrell's teacher Anna E. Schoen-René once noted that singing was 75 percent technique, her teaching encompassing the acquisition of an open throat and placement in the mask, portamento, legato, crescendo, decrescendo, staccato, et cetera, the assertion being that technical accomplishment lead to the remaining 25 percent—true expressivity. This is what you hear in Harrell's singing, which has little in common with the thin, straight-toned approach often heard today. To better understand the art of portamento and legato singing as taught by Madam Schoen-René and other exponents of the García School, I encourage the reader to acquire Hidden in Plain Sight: The Hermann Klein Phono-Vocal Method Based upon the Famous School of Manuel García and then listen to the accompanying recordings at Youtube.